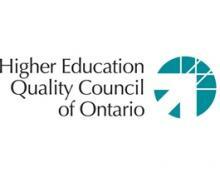 The Higher Education Quality Council of Ontario (HEQCO) was created to undertake research and provide policy advice for postsecondary education in Ontario. HEQCO selected Academica Group to conduct a comprehensive review of Work Integrated Learning (WIL) programs and develop a typology to classify the different types of WIL offered by Ontario colleges and universities. WIL is an umbrella term that describes a range of educational activities that combine academic learning with hands-on practical application in a relevant work setting. Anything described as ‘umbrella’ is naturally difficult to understand and measure. And understanding the effect of WIL on education outcomes is especially challenging because each college or university markets, delivers and measures WIL differently. Academica’s research involved an extensive literature review, as well as interviews with key business and education stakeholders. Led by Peggy Sattler and Julie Peters, Academica worked with HEQCO and nine postsecondary institutions to identify the learning, labour market and other benefits associated with WIL, as well as challenges and opportunities. The report (2011) sets out a typology of WIL in Ontario colleges and universities, and is now being used by the government of Ontario. The second, larger phase of the project involved 14 partner colleges and universities, and included a survey of 3,600 faculty (2011), a survey of 3,300 employers (2012), and a survey of 10,300 graduating students (2012). In the third phase of the project (2013), the same students are being contacted 16 months after they graduated to track actual labour market outcomes associated with WIL programs. The report on the follow-up survey will be available in spring 2014. Our work is enabling HEQCO to understand and advise on an increasingly important and complex component of higher-education. A joint research initiative involving HEQCO, McMaster University, York University, and MITACS to understand graduate students’ knowledge of post-graduation career opportunities and future plans/intentions. A study to assess the feasibility of four new business degree programs. The study involved employer and faculty interviews, secondary research, and surveys of students, prospective students, and alumni to measure levels of interest in the proposed programs and identify labour market trends, opportunities, and employment prospects for graduates. A labour market environmental scan conducted for the Australian Consulate-General and Trade Commission to assess economic development trends and workforce opportunities in four Canadian provinces (Alberta, British Columbia, Ontario, and Quebec). The study involved interviews with 20 senior government officials and sector experts and was designed to strengthen the alignment of programs offered at Australian institutions with the needs of the Canadian labour market.